Not interested in Valparaiso ? Please choose a different community. Storytime for children 2 & 3 years of age, with a caregiver, featuring stories, fingerplays, music and a craft, that teach early literacy skills. 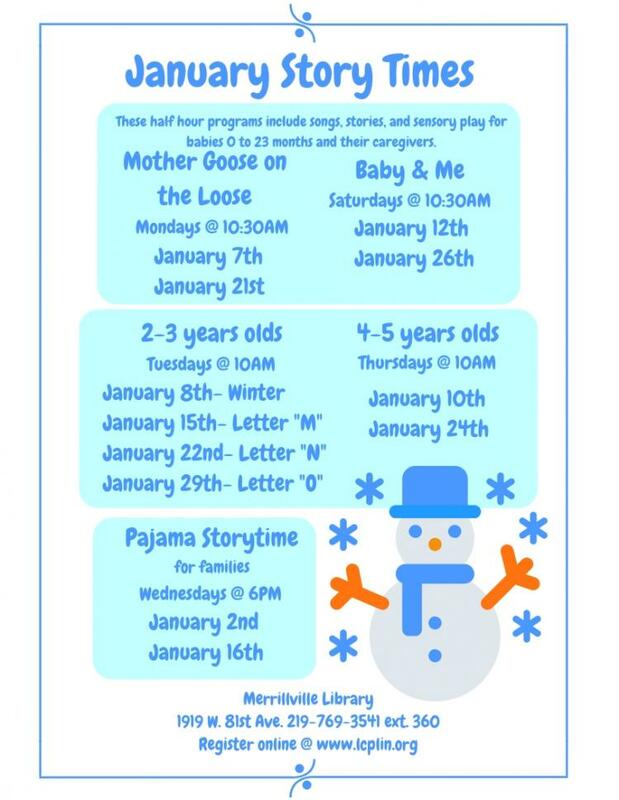 "Letter M" is the theme at the Merrillville library. You must register for this program. Imaging, Lab & Therapy Services.